What could possibly possess normally rational human beings to go on an endless quest to find a large hunk of 45 year old pipe and tin? What could justify spending thousands and thousands of dollars to restore or recreate a ghost from the past? What magical moment can bring grown men to tears and for a awhile - a short while - erase decades of time and make an old dog feel like a young pup? Cacklefest&REG;. 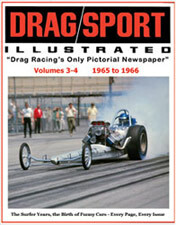 The word alone sparks excitement in the hearts of drag racing fans young and old. Since it was first coined by Greg Sharp of the Wally Parks NHRA Motorsports Museum, this strange word has spread all over the world and spawned dozens of "spin off" events at race tracks big and small. Although you won't find it in any dictionary, Cacklefest&REG; has become one of the most alluring words in drag racings vocabulary. 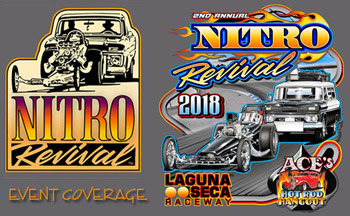 Since its inception at the 2000 California Hot Rod Reunion, Cacklefest&REG; has grown from 9 cars to over 70 entries in 2018. 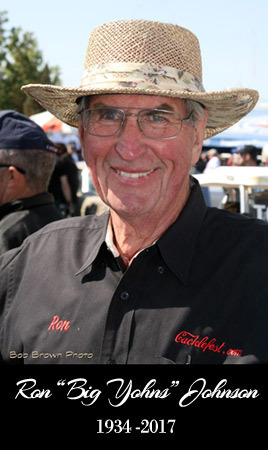 Thanks to Cacklefest&REG;, there are in fact more functional Top Fuel dragsters today than at any time in the last 50 years. This site is dedicated to all those who have lovingly restored, or in some cases recreated race cars that we would never have seen, let alone heard again. 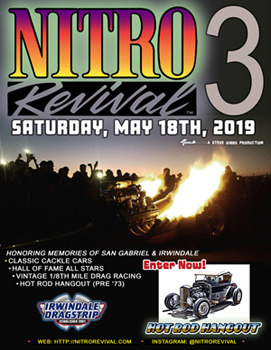 Drag strip warriors from the 1960's and early 1970's that have been sitting ignored for decades have been given a new lease on life and a purpose far beyond what they were originally built for. Today they give those who own them much joy and frankly a lot of fun. More importantly they have resurrected the "careers" of many fabled drivers who had not been behind the wheel of a race car in decades. They bring back an era when drag racing was free of corporate influence, protocol and restraints. There were no "cookie cutter" cars or hospitality rigs. From the early 1950's through the 1970's dragsters were, for the most part, financed out of pocket and innovation was foremost. Very few racers broke even - let alone made a living. 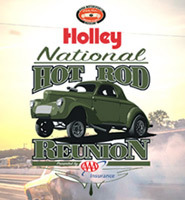 Most importantly they are exposing the core of drag racing history to thousands of fans who were not even born the last time one of these cars were push started or went down a dragstrip. 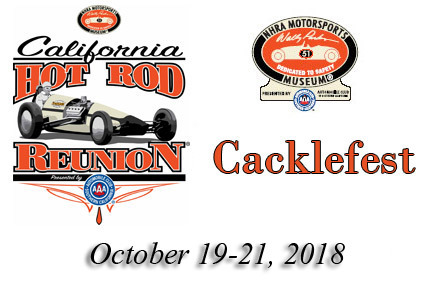 Cacklefest&REG; is a registered trademark and is used with the permission of the NHRA Motorsports Museum. &COPY; COPYRIGHT NOTICE 2005-2019. All Rights Reserved.